How can I create a new ID? It's so easy to register SMILEDUCKS. You should move the register page and please put some infomation. Click here to make your ID. Click here to find your Password. We're sorry to hear that you want to close your Account. We hope that if there are any issues we can fix, you'll give us an opportunity to address them. If you are having a problem with purchase, please contact us to help you. If you really want to close your Account, please contact us. Only supporter team can close your Account. Click here to contact supporter team. To change your password, sign in and click on 'MY SMILE'. MY SMILE is located at the top of SMILEDUCKS web page. You can change your Password on 'my profile'. If you want to change ID, please contact us. To change your account information, sign in and click on 'MY SMILE'. You can change your address on 'Address Book'. The 'Basket' let you keep your wish items and purchase multiple products at once. Click here to go to the Basket. How can I move items to Wishlist in the Basket? Go to your Wishlist page and click on the button of 'to Basket'. Click here to go to the Wishlist. I want to know shipping costs of different shipping methods! Free standard shipping will be provided for orders over $40 and free expedited shipping (EMS) will be provided for orders over $150. * However, please note Korea Post does not offer EMS service for the below countries. * Unfortunately, we do not offer free standard shipping to India due to missing/theft reports. If you would like us to ship to India, do select International Parcel Service ($10 shipping fee). Can I reuse my coupon? If your coupon becomes invalid after order failure, please send us an email to Customer Service letting us know the unsuccessful order number. I did not add the free gift in my order. If you pay without the FREE GIFT, you will not be able to add the free gift in your package later. I can not add the Free gift in my shopping cart. There is a possibility that the free gift is out of stock. Please kindly understand us, the free gift will be provided only when we have it in stock. I want to change something in my order. For unpaid items, leave a message to us and we will process it. For paid items, if the order has already been packaged and shipped, we are unable to do anything. However, in some cases we might be able to change the order (color selection, address, etc.). Leave a message to us and it will be processed. How can I pay the amount? I want to know what I have bought. Check your items bought on "MY SMILE > Order History"
Click here to go to the My Orders. Whose responsibility for custom charges? Your items may be subject to the customs fees and import duties of the country to which you have shipped. We always declare packages as GIFT and $5 value. We do our best to avoid this situation, but we cannot guarantee it will not get caught on customs. These charges are always the customer's responsibility. 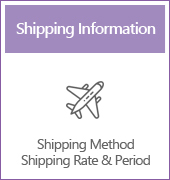 How can I change the shipping information? We cannot change the shipping information once the order was made. So, you need to cancel the order and reorder with correct address. How do I return or change an item? If you received wrong and defective items, you can get refund for the item. > If you received wrong or defective items, please contact our CS team. 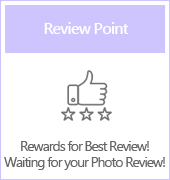 Reward Point is a benefit of purchasing items. 1. 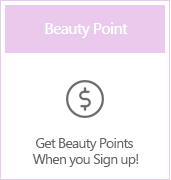 Registerd First : Joining the membership, you can get 3dollar. 2. Purchase Items :3% or 5% or 7% reward point on every order. It depends on your Membership Level. Click here to see our Membership. How can I be DUCKLING or DUCK customer? We will upgrade your customer status to "DUCKLING" once the total amount of your purchases exceed $1,000. Please note the total amount is for recent 12 months. Is this a genuine item? Sure, we only sell 100% genuine and new items in our store. We receive products directly from the manufacturer or the official retailers. There is no need to be concerned about the product's authenticity. We ship out orders within 1~5 business days after payment clear. It takes more time to prepare bigger orders than smaller orders. However, it could be delayed little more during event period. If we have some issue of delay for your order, we will contact to you. Economy and standard shipping take 10-30 business days on average. Expedited shipping(EMS) takes 3-7 business days on average. Please note that the shipping time does not include the customs clearance or other potential delays. * Estimate shipping dates might be different, according to the custom clearance procedure and post office delivery situation. How can I contact to smileducks? 1) There is a 'contact us' button on the bottom of page, just click the button. 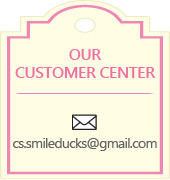 Then, you will be able to send an email directly to SMILEDUCKS. Please make sure you write your correct email address for a response. 2) You can send a message using '1:1 inquiry' function in 'My Shopping' section on your account. Do not worry! Most Korean cosmetics only mark their "date of production" and not the "date of expiration". Also, you might see the Korean '제조' and it means "produced".